FORT WAYNE, Ind. - With just over two weeks left in the 2018 regular season, fans can already start to get excited for the 2019 season at Parkview Field. 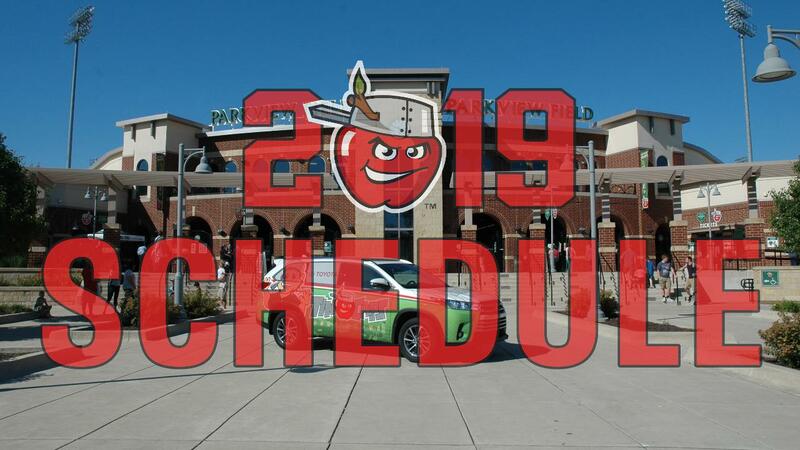 The TinCaps have released their schedule for 2019. During the final five regular season home games of the year, the TinCaps will distribute 2018-19 wall calendars featuring the team's 2019 schedule, along with some of the best photos taken this year. This is a free giveaway for fans, who can receive their schedules on Aug. 16 and 17 or during the last series of the season from Aug. 29-31. "This is an exciting end to the 2018 season for us as we hit the 4-million fan milestone at Parkview Field in year number 10, and now the team has a great chance to make the playoffs for the ninth time in 10 years," said TinCaps President Mike Nutter. "But looking ahead, we'll be determined to make 2019 even better than this season." Opening Day at Parkview Field in 2019 will take place on Thursday, April 4 (7:05 p.m.) against the Lansing Lugnuts (Toronto Blue Jays). Opening Day will feature the first of 12 Thirsty Thursdays™ at Parkview Field as well as the first of 30 Postgame Fireworks shows over the course of the season. For the 11th consecutive season at Parkview Field, the TinCaps will celebrate the Fourth of July with a home game, as the team hosts the Lake County Captains (Cleveland Indians) on Thursday, July 4 (6:05 p.m.). Father's Day on June 16 (1:05 p.m.) is another home date with Lake County. The full 2019 promotional schedule will be released at a later time. "In 2019, we'll have fireworks at nearly half of our home games, which we know fans love," Nutter said. "We owe a big thanks to our fans for making Parkview Field so special and making our atmosphere one of the best in all of Minor League Baseball." In June, the TinCaps renewed their affiliation with the San Diego Padres through the 2020 season. San Diego has the top farm system in all of baseball according to both Baseball America and MLB.com. Like this year, the Padres are expected to have a wave of talent come through Fort Wayne in 2019 that could possibly include the No. 7 overall pick in the 2018 MLB Draft, left-handed starting pitcher Ryan Weathers as well as San Diego's second round pick, shortstop Xavier Edwards. 2019 Season Ticket Packages: Existing season-ticket holders will have a priority period to renew and reserve their same seat locations for 2019. Following that period, season tickets will be available to the general public. If interested in a new ticket package, please contact the TinCaps to be added to a priority list. Groups: If you enjoyed outings and picnics during the 2018 season, there's an early period (beginning in the coming weeks) for booking an outing for the 2019 campaign. Groups that did not have an outing in 2018 are welcome to contact the TinCaps to be placed on a priority list for consideration.